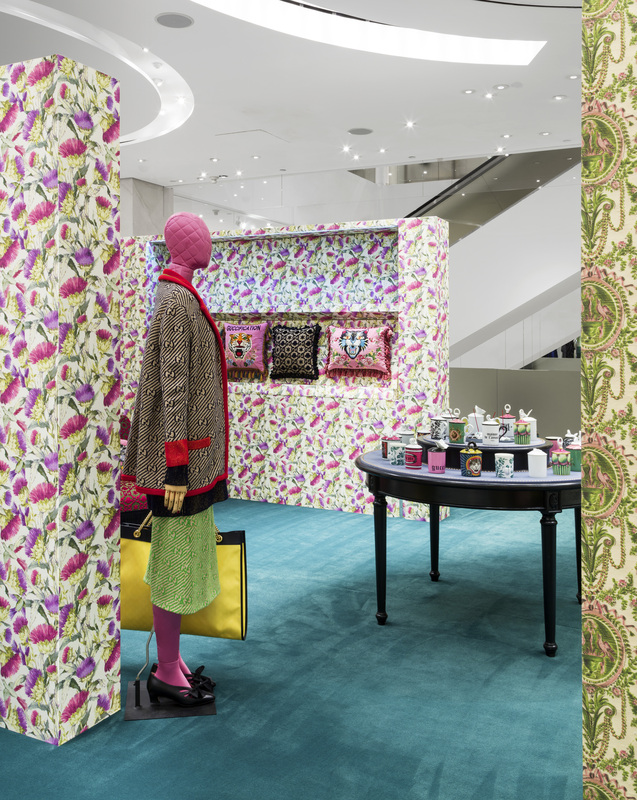 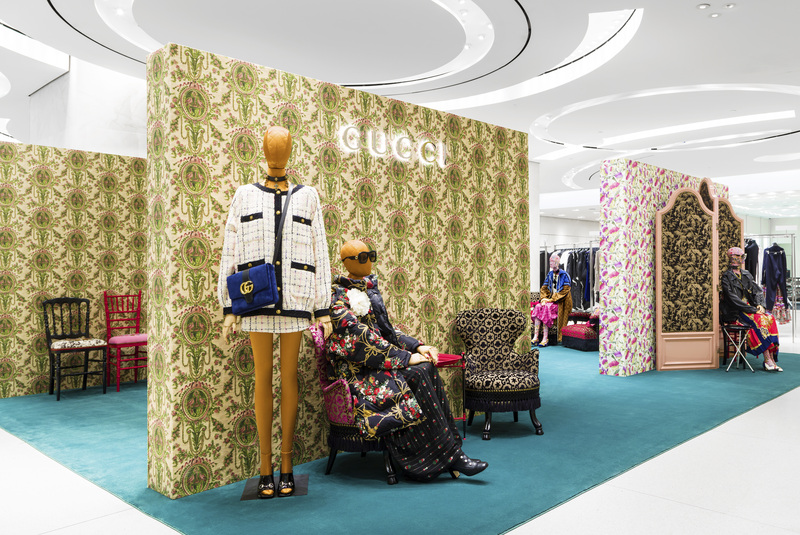 Italian luxury brand Gucci has launched a unique set of pop-ups for its home furnishings line at Holt Renfrew’s downtown location in Vancouver, as well as in Toronto’s Yorkdale flagship. 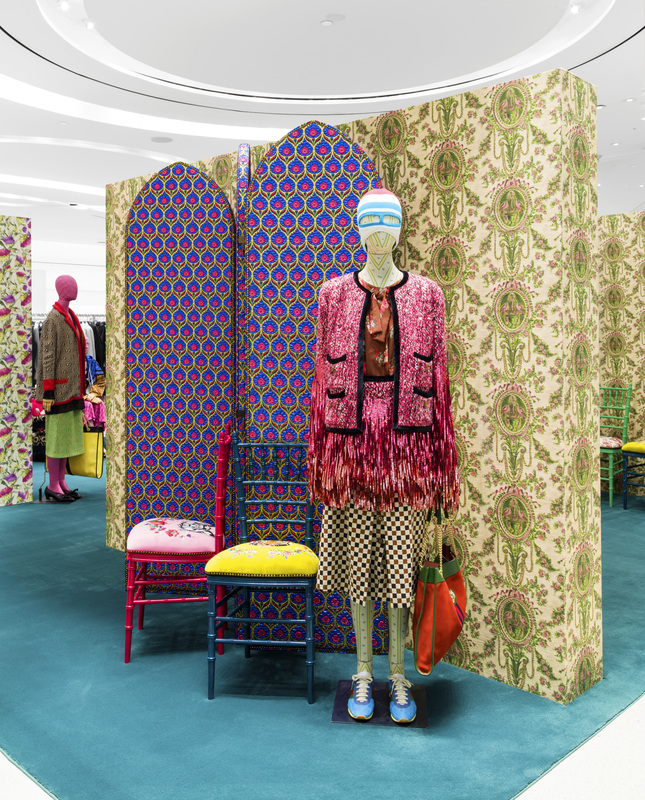 Fans of the mesmerizing installation will be able to enjoy until early January 2019. 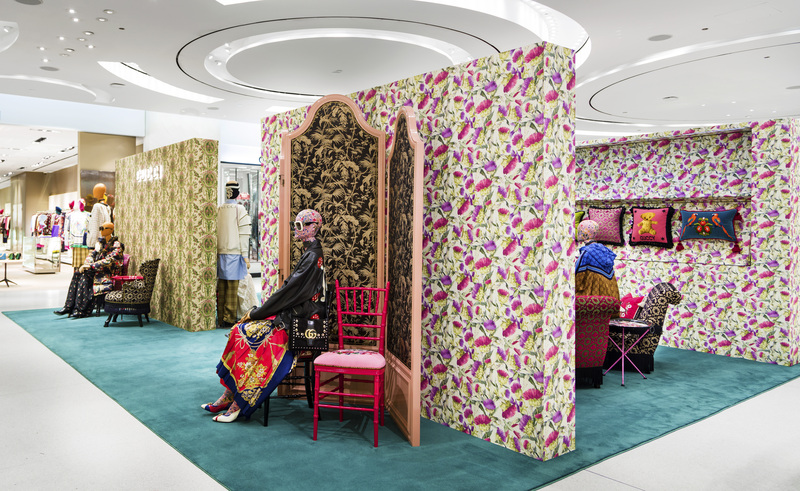 These images are from Toronto’s pop-up – it is too difficult to get a great shot in the pedway! 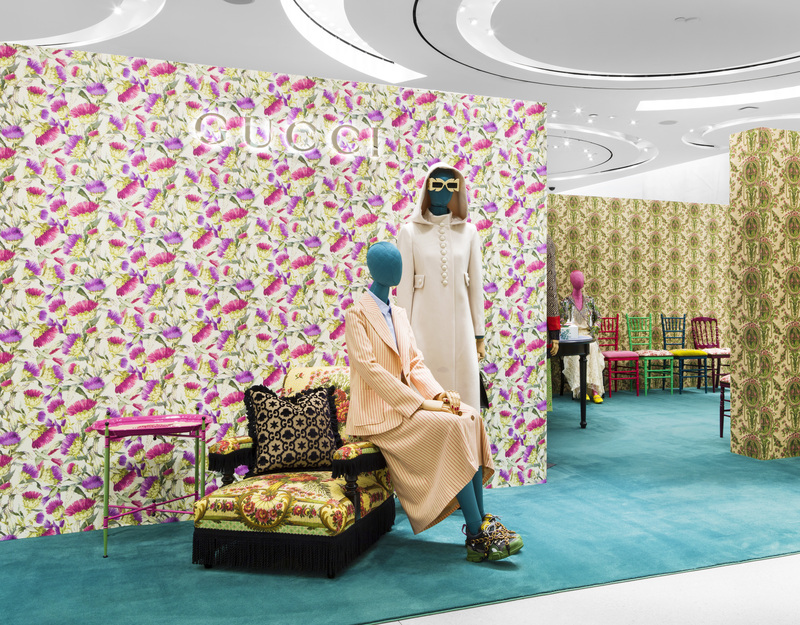 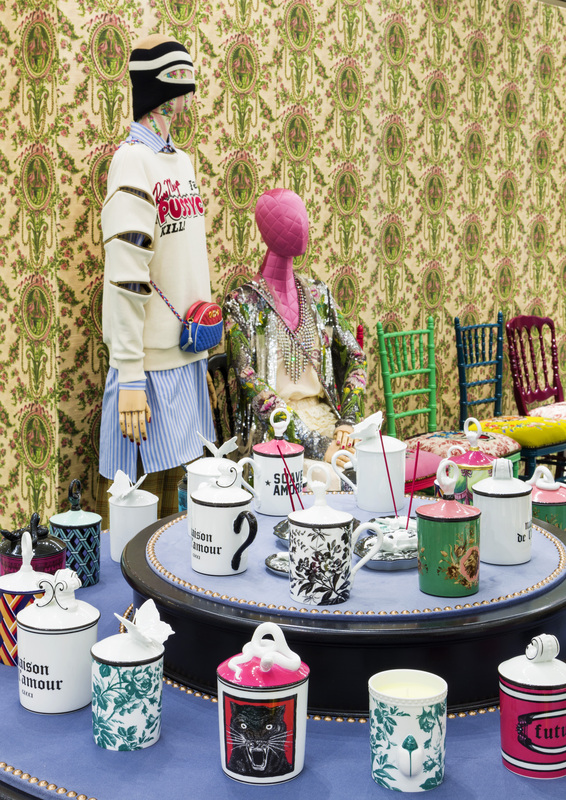 Located on the pedway between CF Pacific Centre and Holt’s, the pop-up feature a range of chairs, tables, pillows, candles, and wallpaper, all part of Gucci’s colourful new aesthetic that I predict could see it become the world’s top-selling luxury brand, surpassing Louis Vuitton.